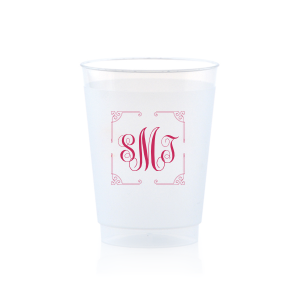 Add an extra splash of personalization to your celebration with personalized bar/bat mitzvah 10 oz frosted cups. You can serve signature cocktails for the adults and create an italian soda bar for the kids, making your cups perfect for everyone! Select from the designer curated styles below, create your own look with our fonts and graphics, or upload your own art. Mazel Tov! It’s your child’s milestone celebration, and you want the party to be on point! 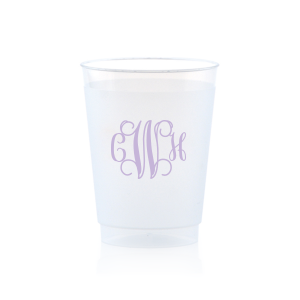 Create custom bar/bat mitzvah 10 oz frosted plastic cups to add an extra layer of personalization to their special day. 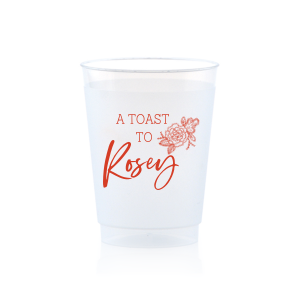 Create your customized bar/bat mitzvah 10oz frost flex cups by browsing curated galleries of design ideas and choosing the screen printing color that best compliments your party theme. Opt to print on both sides of the custom designed bar/bat mitzvah 10 oz frosted cups for an extra splash of personalization. The 10oz size of your bar/bat mitzvah frost flex cups is perfect for signature cocktails for the adults and soda or lemonade for the kids. 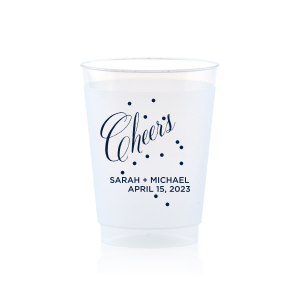 Reusable, dishwasher safe and shatter-proof, your personalized bar/bat mitzvah 10 oz frosted cups are a fun and memorable party favor for your guests to enjoy in the days to come.